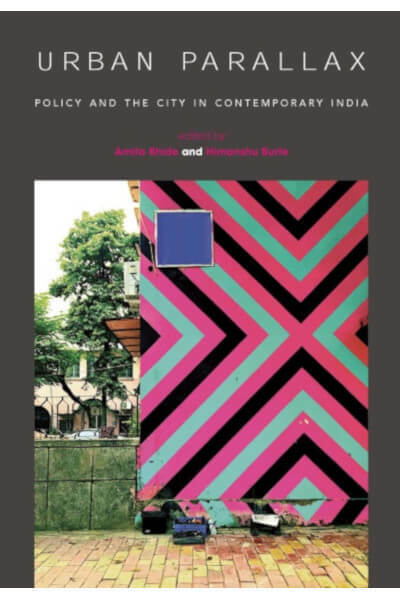 An authoritative book by specialists, and yet accessible to every informed reader, this book will be of interest to policymakers, urban practitioners, scholars and students of urban studies and anthropology, as well as every concerned citizen of the Indian city. Urban Policy, and particularly the knowledge base and fundamental assumptions behind them, have rarely been the subject of scholarship in India. As the urban becomes a significant phenomenon in India, however, several fundamental questions need to be debated as a guide to policy. Urban Parallax fills this lacuna by deconstructing urban policy and asking some critical questions about knowledge of the urban and of policy from multiple perspectives. Economists, sociologists, geographers, planners, and architects provide insight in this timely volume to foundational premises such as the relationship between urbanization and growth, its relationship with inequality, issues of centralization vs decentralization, the issue of differing scales of policy application, and when does policy seem to work and not work. An authoritative book by specialists, and yet accessible to every informed reader, this book will be of interest to policymakers, urban practitioners, scholars and students of urban studies and anthropology, as well as every concerned citizen of the Indian city. Amita Bhide is Professor and Dean of School of Habitat Studies, TATA Institute of Social Sciences (TISS). She did her MA in Social Work, specializing in Urban and Rural Community Development in 1990 and has been engaged in teaching at TISS for over twenty years. Along with teaching and research, she has been deeply involved in grassroots-level work on issues related to urban poor communities, community organization and housing rights movements and advocacy groups and has also worked on issues of tribal development and rural governance. Himanshu Burte, an architect and urbanist, is Assistant Professor at the School of Habitat Studies, Tata Institute of Social Sciences (TISS), Mumbai. His book, Space for Engagements: The Indian Artplace and a Habitational Approach to Architecture (Seagull Books, 2008. Kolkata) proposes an alternative conceptual framework for architecture centered on the act of dwelling. This book will be shipped within 5 working days. The time taken for you to receive the book after it is shipped will depend upon the mode you choose, while completing your purchase. The rates applicable for each mode are different.